Daniel Webster-Clark didn’t always know he would go into fashion. In fact, it was the farthest thing from his mind as a graduate student at Northwestern’s Kellogg School of Management, where he received his M.B.A earlier this year. 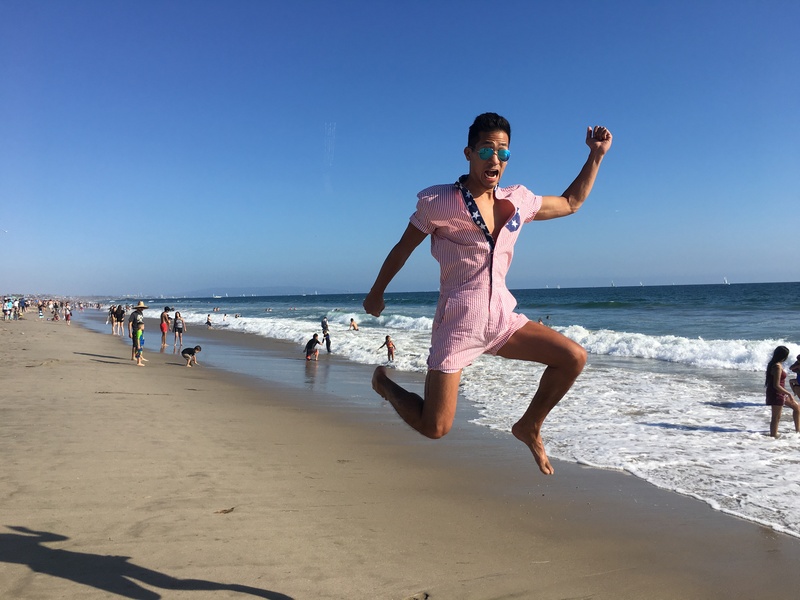 Yet, after expressing frustration with friends at the lack of options in men’s fashion, Daniel and a small group of peers were inspired to co-found ACED design — the fashion label beyond RompHim, the wildly popular male romper brought to life by a Kickstarter campaign that raised over $350 thousand in under a week. 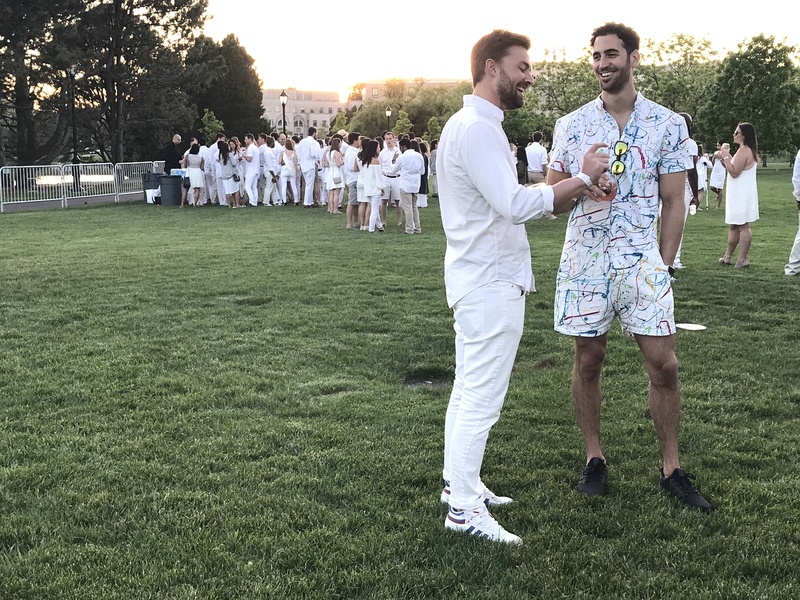 RompHim has since gone on to land coverage in the likes of GQ, The Washington Post, Buzzfeed, Today Show, Cosmopolitan, and CNN — a whirlwind of press success that mirrored the product’s viral rise in a previously untapped aspect of the men’s fashion industry. In this exclusive IVY Magazine interview, Daniel reflects on RompHim’s explosive entrance into the summer fashion scene and his team’s early work to launch the brand. He also provides insight into the company’s strategies to stay ahead of imitators in the competitive fashion industry, and advice for entrepreneurs looking to beat out a successful viral campaign of their own. What do you think was the key to RompHim’s immediate success? I think we brought something new, fun, and fresh to men’s fashion and did it in a way that attracted a wide variety of people. Taking a new approach – bright colors, a tailored look, and a new attitude – created something that people were excited to talk about. 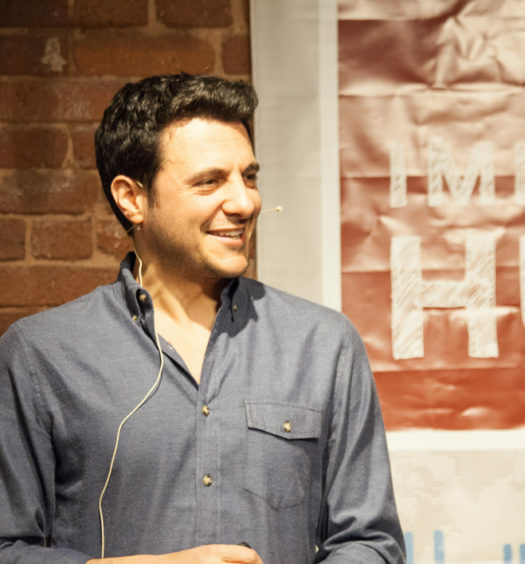 How were you able to incite people to contribute $350,000 to your Kickstarter campaign? 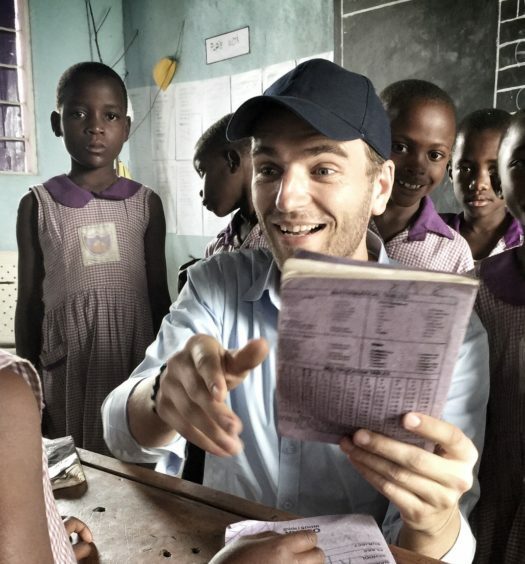 We’ve had the chance now to connect with quite a few early supporters, and it’s been incredibly exciting to hear more about their reasons for getting excited about what we’re doing. While everyone has a different way of saying it, we’re hearing from the members of the #rompsquad that they are all excited about an opportunity to own their style and express themselves. Collectively, they all jumped on board with the idea of getting off the couch and out into the real world. 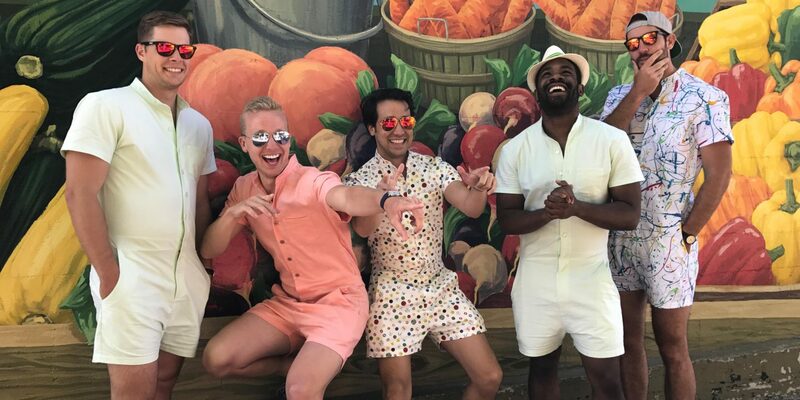 My favorite quote from an early supporter is that “it’s just hard not to smile when you’re in a RompHim.” I think our marketing content helped convey that feeling pretty effectively. Are there any specific viral marketing strategies you employed? We actually spent a lot of time and energy thinking about how to launch our Kickstarter. We knew that the RompHim served as a great conversation starter in real life (we’d been to music festivals, sporting events, and concerts to test it out ourselves) but weren’t expecting that online word would spread so quickly. As we were creating our initial marketing content, we definitely thought a lot about what types of things we get excited about sharing with our friends, and tried to incorporate some of those elements. For us, it was all about putting ourselves in the mind of a potential customer getting exposure to this product for the first time. How has your team grown since the first announcement of RompHim? We grew rapidly over the summer, with many fellow Kellogg friends and recent graduates jumping in to help with everything from answering customer service emails to managing incoming PR requests, to making introductions to new potential factories based on their pre-business school lives – the team was up to almost 10 people working pretty close to full time for a while. We also added an undergraduate intern over the summer who has experience in film and photography. Some team members have moved on to start their jobs in the “real world” but we plan to expand again this Fall. How are they produced and manufactured? Are they expensive to manufacture? We’re working with a variety of partners – at home in Chicago, in LA, and we’re thinking about expanding around the world. Our initial demand exploded so far beyond the supply chain we’d initially built that we had to expand and evolve extremely quickly. We’re working to bring down the cost through new suppliers and creative contracts, since we’d love to get more people romping. Other designers have begun to incorporate male rompers into their lines. How do you stay ahead in a competitive industry? In any industry, success draws competition and imitation; fashion is even more competitive than most. We expected there to be both small scale imitators trying to capitalize on the energy around what we’re doing, as well as moves from more established brands. The key to our success is building an un-paralleled and inimitable connection with our supporters. We represent an opportunity for people to express themselves and make a statement, which is hard to copy. Any plans to expand into stores? We’ve found that the reaction we get when people actually try on a RompHim is nearly universally positive – it’s comfortable and just a lot of fun. As such, we’re all about taking RompHim to the people. We’re exploring the best way to do that, and we’re exploring a lot of creative ways to do it. I’d expect some pop-ups in Chicago starting late August and then some expansion beyond those into a few other key cities like San Francisco or New York. We have a couple great partnership opportunities that will be a lot of fun too, so stay tuned for those. The biggest trend I see is that the “traditional” approach to fashion (planning out lines 6+ months in advance and making massive inventory buys) will face even more struggles. The labels that are constantly innovating – across the entire value chain – are going to be much more successful than those than are stuck in the same old way of doing things. What three key abilities do you think make a great entrepreneur? 1. You definitely need to be self-confident. You’re either trying to do something that has never been done before, or trying to do something so much better than everyone else who is doing it – either way, you better have a strong belief in yourself. 2. You also need to have a pretty extraordinarily high-risk tolerance. It’s going to take a lot of work to take an idea and turn it into something that you know is valuable, and the value is going to be ambiguous for a while. You’ll have to make a lot of decisions and sacrifices to achieve your goals, and there’s certainly no guarantee it will pay off. 3. Time management rounds out my top three. It’s incredibly fun when your work starts taking off and people start showing interest in what you’re doing. It also leads to an almost endless amount of things you could invest time in. If you can’t figure out what’s important, and then be disciplined in spending time only driving towards what’s important, then you’ll never sleep! What is something you believe to be true, that few other people believe? That men are interested in wearing rompers! Give it a year or two, and casual Friday’s will be all about the male romper.